This week while in Kansas City I had the pleasure fo stopping in to The Peachtree. 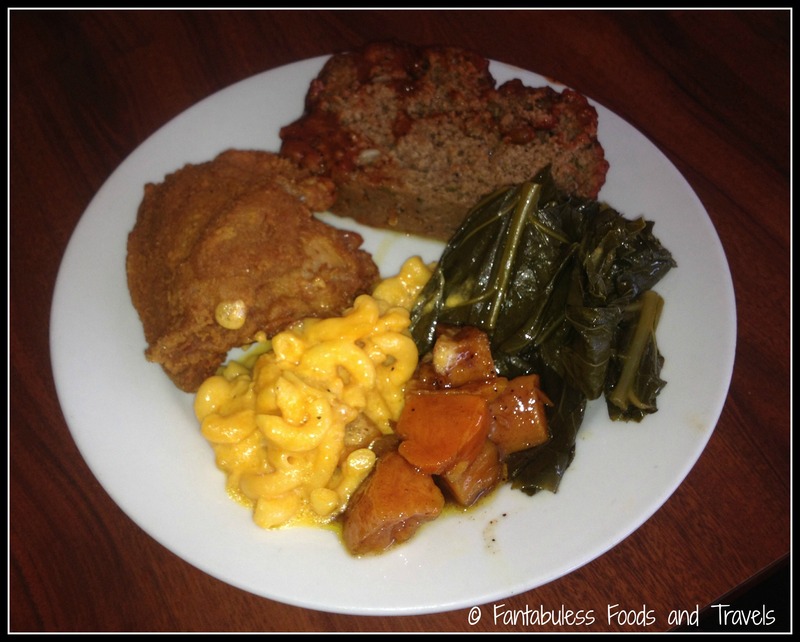 The classic southern comfort food satisfied my hunger and truly blessed my soul. 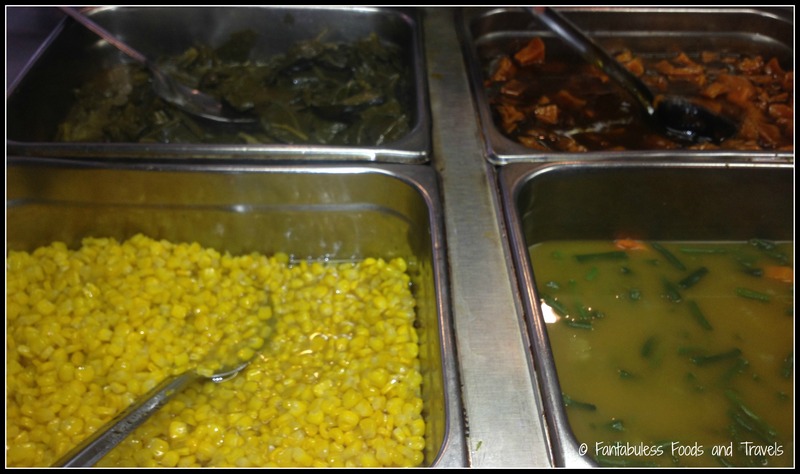 This buffet style restaurant featured crispy fried chicken, delicious fried fish, candied yams, mac-n-cheese and many more scrumptious foods. All you can eat buffet meal was only $11.95 which included bottomless drinks as well. The chicken was fried to perfection and the meatloaf set off fireworks on my tastebuds! The candied yams were little pieces of heaven here on earth. 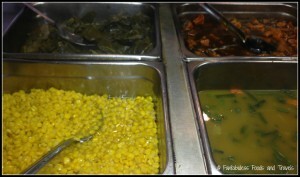 I helped myself to generous portions of perfectly seasoned collard greens, corn and crisp green beans. Not pictured above is the peach cobbler just like my grandma used to make. The crust was light, buttery and flakey and it complimented the syrup from the peaches. The waitstaff was very attentive and I truly felt like a friend instead of a patron. My waitress never let my cup get dry and stopped my on several occasions to make sure everything was good. This is not a place to come and grab a low calorie meal, but if you want great food at a reasonable price and want to be treated like friends of the family, then make sure you stop by The Peachtree next time you are in Kansas City. I entered the Peachtree restaurant as a patron and left as a friend.